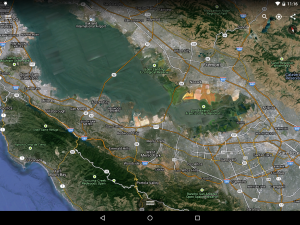 A new update is being pushed out to Google Earth for Android. 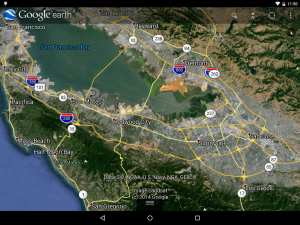 Google Earth first made its appearance on Android way back in February of 2010. Since then is has received a number of updates with the last real big update coming in May of 2013 when street view was added in. Today Google Earth gets a substantial bump in version number from 7.1 to 8.0. The leap offers a heck of a lot too. The file size is reduced a fair amount. Coming down from 8.79 mbs to just a touch over 8 mbs. 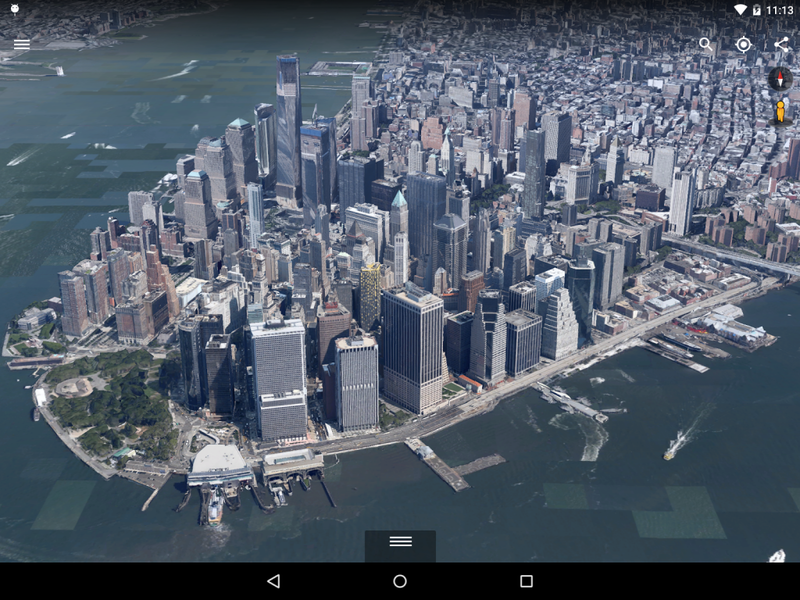 Besides the file size shrink, Google puts emphasis on new 3D rendering technology that gives Google Earth its first major 3D overhaul since it launched over 10 years ago. The new technology will provide you with much sharper views of the surroundings. Google is also pushing the same data from Google Maps to Google Earth now. That means roads and POI will be all up to date as they are on Google Maps. There is also some rework down to the Roads and labels in terms of their visual appearance. Things look a lot less slapped over the area and more integrated. You can see the before and after in the two images below. Google also did a little Drive integration for those of you that make your own maps in Google Earth. Now you can open up your KML files saved in Drive through Google Earth on your phone or Tablet. Might not mean much to the average person out there, but those that use the ability to build maps inside earth, this must be great news. In true Google fashion the update is rolling out to users slowly through the Play Store. You can check now to see if the update is available. If not, then head over to Gappsearly for the updated APK and give it a look.